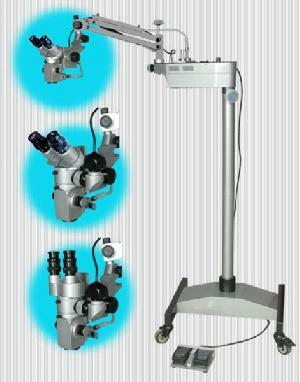 Ophthalmic Microscopes, Dental Microscopes, Neuro Surgery Microscopes, Plastic Surgery Microscopes etc. ROSLANE MEDITECH offers, various models of Export Quality Operating Microscopes, at most affordable price, as per the buyer�s need. Adjustment Focusing System: Motorized Foot Focusing system.